I welcome you to my blog all about Scuba Diving and the Underwater World! My name is Madeline Anderson, I am 16 years old and live in the Midlands, UK (as far away from the sea you can get on our island). I have been a diver since I was 12 years old; at 14 I became a PADI Master Scuba Diver and founded this blog. Now, at 16, I’ve just passed my ISE Sidemount course at Gozo Technical Divers and am looking forward to furthering my diving skills and knowledge in the weeks, months and years to come! In March I won the National Science and Engineering Prize for my project “The Effects of Nitrogen on the Body under Pressure”. And have recently just received my GCSE results, now I commence studying for my ALevels. I will be taking Biology, Physics and Maths to A2 level and Photography as an ASLevel. I have chosen my subjects because I enjoy them and also because they are the subjects I need to go to university to study Marine Biology! Impressive – Congratulations to your Blog! So you decided to join the small clan of Uncle Spike followers Madeline…. That makes me a happy blogger now – I really appreciate you making that special mouse click. Thank you for following me Uncle Spike, I really enjoy all your posts and as you may well see through my blog Turkey has a special place in my heart with many of my friends living, working and diving there. I will let you know and you are always welcome to offer any advice or suggestions on my blog just let me know in the comments. It’s such a shame to hear about your ear, when I first started diving I found it difficult to equalise my ears and I know how annoying it can be. No worries… I can enjoy diving through your posts; how ’bout that? Glad you stopped by my blog and decided to follow me. I also love diving but don’t have any decent underwater shots. So far, I’ve only had throwaway UW cameras and they aren’t much good. Thank you for visiting Jill, Since this year I had a proper camera with housing so I have many more pictures from this summer just waiting for an opportunity to pop up on this page. Loved this site and the archive posts. Think i’m hooked on Scuba Diving now. Lively, informative and entertaining posts. Great tone. I’ve signed in for up dates. 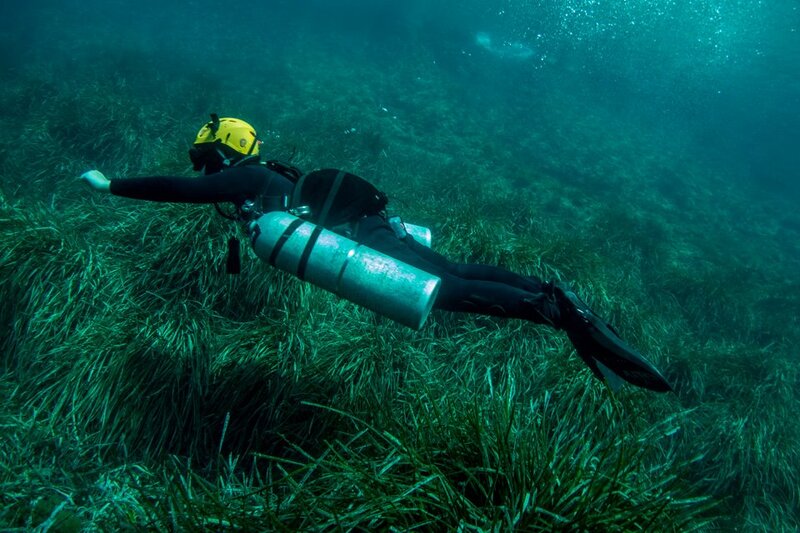 To what do I owe the honour of a follow from a Master Scuba Diver? Thank you so much for these kind words. It’s a mutual follow, BTW. I really appreciate you stopping by and very happy you found me via OM! I’m sure the Great Barrier Reef was an absolutely wonderful place to snorkel, its definitely on my bucket list to dive! Thank you so much for the follow, it means a lot. 😀 You’re very welcome, I hope you make it over here to check out the GBR – it is awesome. Wow! Diving in from a kilometer up in the sky with a parachute then land-and-get-air-from-bottom-of-ocean. A very interesting blog Madeline – I have never dived but would really love to when I have the opportunity. Thanks too for stopping by my blog and the like. Thanks for the follow Mich – I hope you learnt something new about diving during your stay here! Nice, nice, nice! I was working as a dice instructor for quite some years and it’s great to see a blog like this! I will definitely keep following it! Thanks for following my blog pillsandpillowtalk, Madeline, and now I’ve just discovered yours and the amazing world of diving. It’s all new to this land-lubber. Thanks for taking the time to stop over Carol, I hope you learn something new during your stay here! Hi Madeline! I’ve just entered the world of WordPress and came across your blog 🙂 Looking forward to reading it! I’m a Master Scuba Diver from South Africa and will be posting about some of our beautiful dive sites. Love the layout of your blog! I look forward to reading more! Awesome blog with very informative subjects, and by the way thank you for following me!